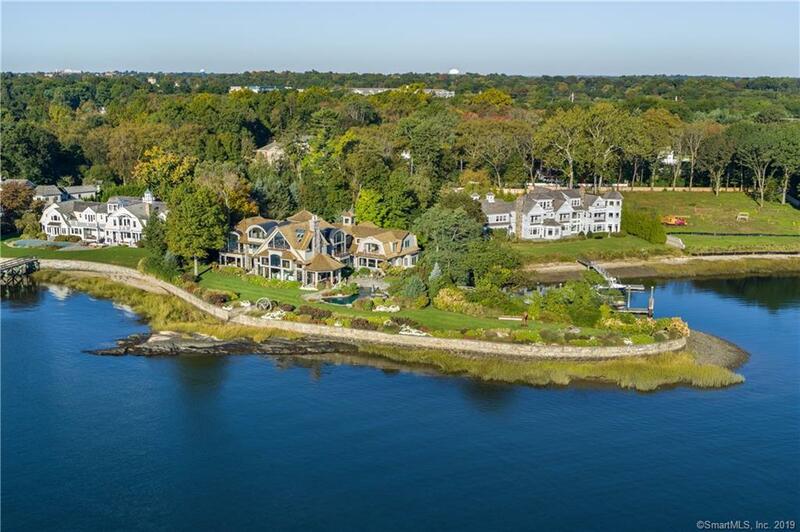 Westportâs âParadise Pointâ is a rare private peninsula on Connecticutâs Gold Coast, with over 700 feet of shoreline and a deep water dock. This exceptional property is home to a beautifully designed 11,759 square foot residence perfectly sited to capture the endless water views, yet maintaining the raw natural beauty of the peninsula. The shingle style homeâs modern aesthetic and open plan compliment the spectacular Long Island Sound backdrop and provide seamless indoor/outdoor entertaining for friends and family. Custom built to a discriminating standard in 2007, the home was hand crafted with only the finest materials and finishes. Residents will enjoy a 70 ft. deep water dock (capable of accommodating a 60 ft. boat), organic pool and spa, private beach, covered porch, outdoor kitchen and fireplace, resistance pool, artist studio, gym, and much more! âParadise Pointâ is the ultimate in waterfront living.